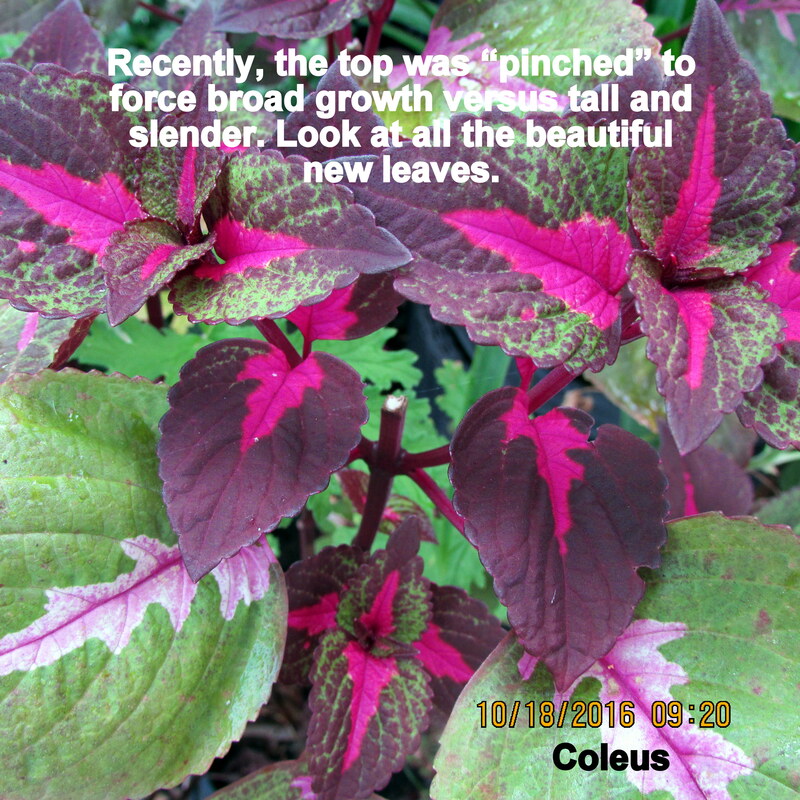 Coleus: The rest of the story !! The following is a blog message previously “under construction” and this is the appropriate time to publish it (imho). 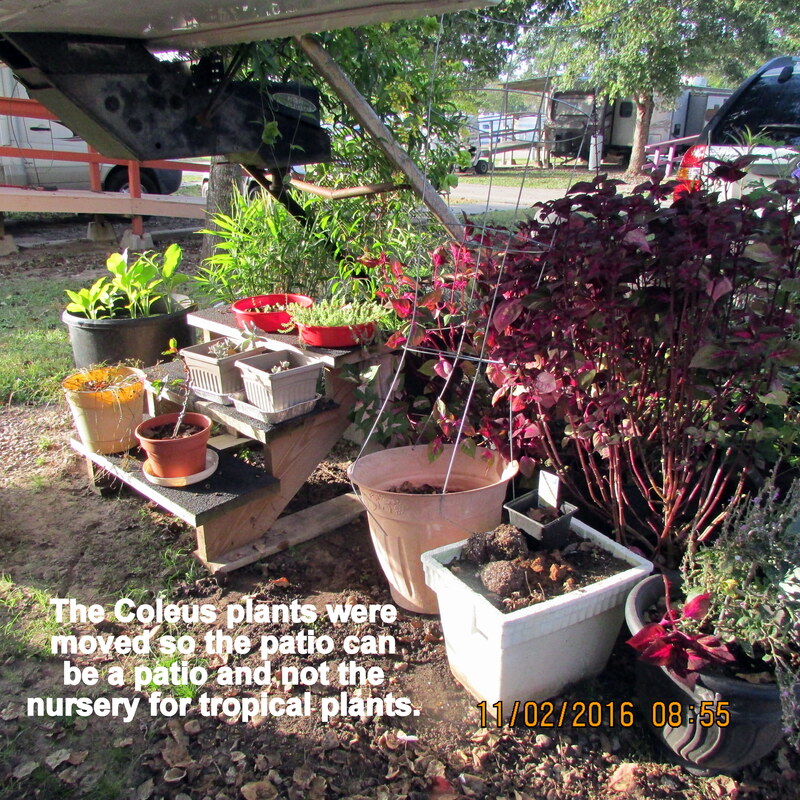 “Curiosity killed the cat, satisfaction brought it back.” In early September, I began the foster care of three Coleus plants. Those… are not my choice for a garden. I want flowers to attract Hummingbirds and Butterflies. I spent time on the Internet looking for information because I’d hate to kill the plants. 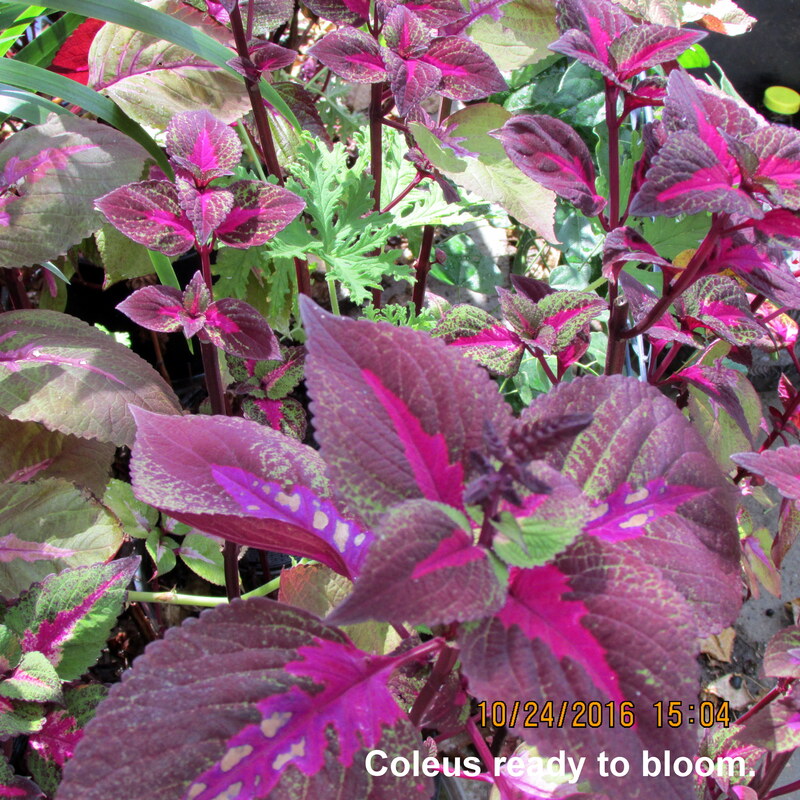 Colorful Coleus plants for indoors or outdoors. 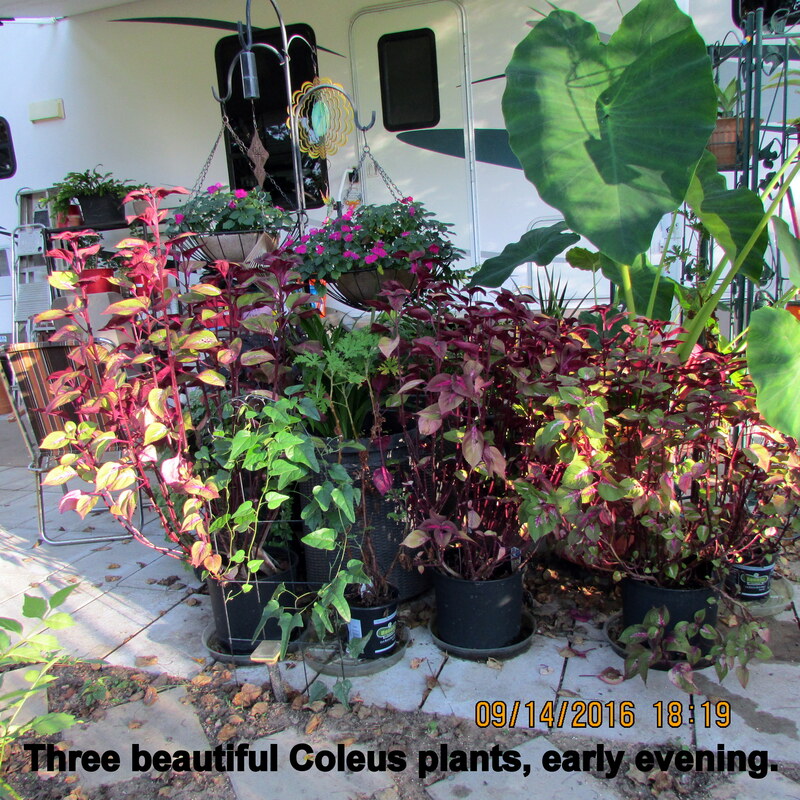 and Three Tips for Spectacular Coleus Color are just two of many…. First bit of necessary data: Sunshine or shade? I’m questioning whether they’re at the right location on my patio. During research, I appreciated the comment about “pinching” top and sides to create a fuller plant. I’ve wondered if I could do that because these three are quite tall and slender. My desire: Send the plants back to their owner bold and beautiful. Their owner, my neighbor, another CARE resident, fell and broke her hip; she’s recuperating in a local convalescent home. Truthfully, I was weary of all the tropical plants on my patio. I spent several hours “redeeming” the area. 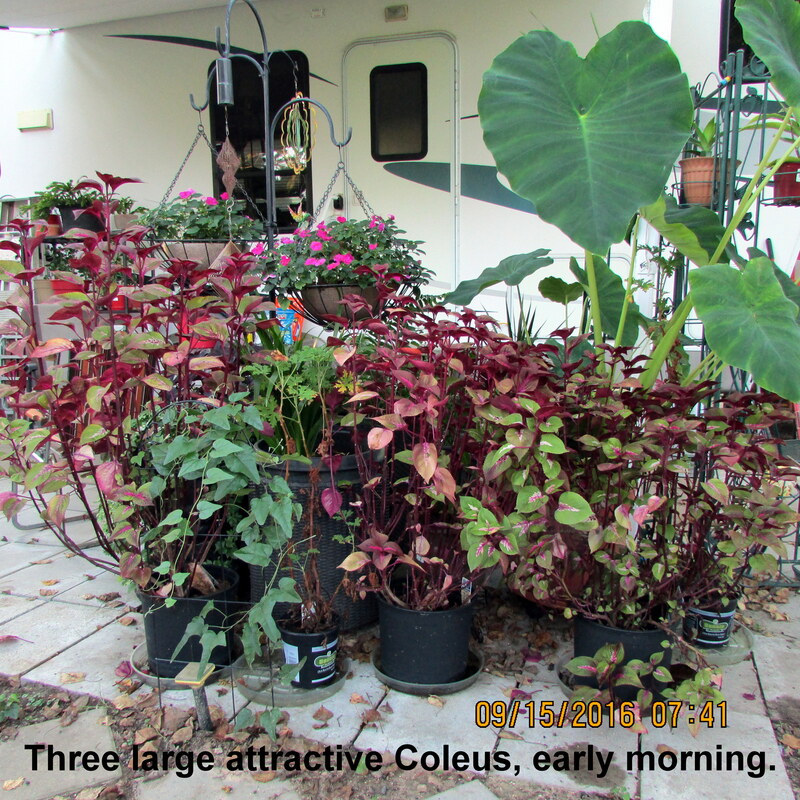 The Coleus were moved… and with twenty-twenty hindsight, I should have trimmed and transplanted at that time.